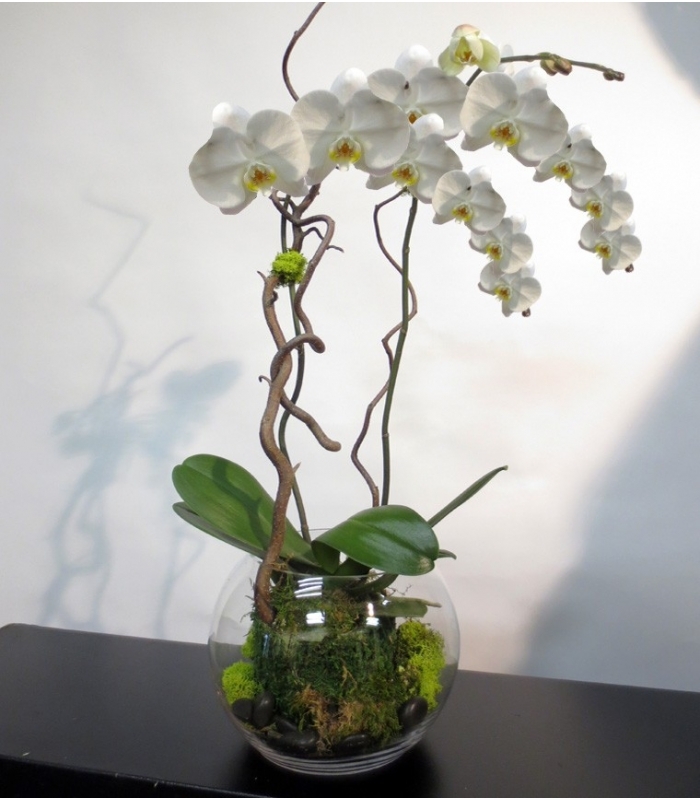 Magnificent blossoming orchid plant designed with seasonal branches. This orchid is in bloom with more than six open flowers and buds. 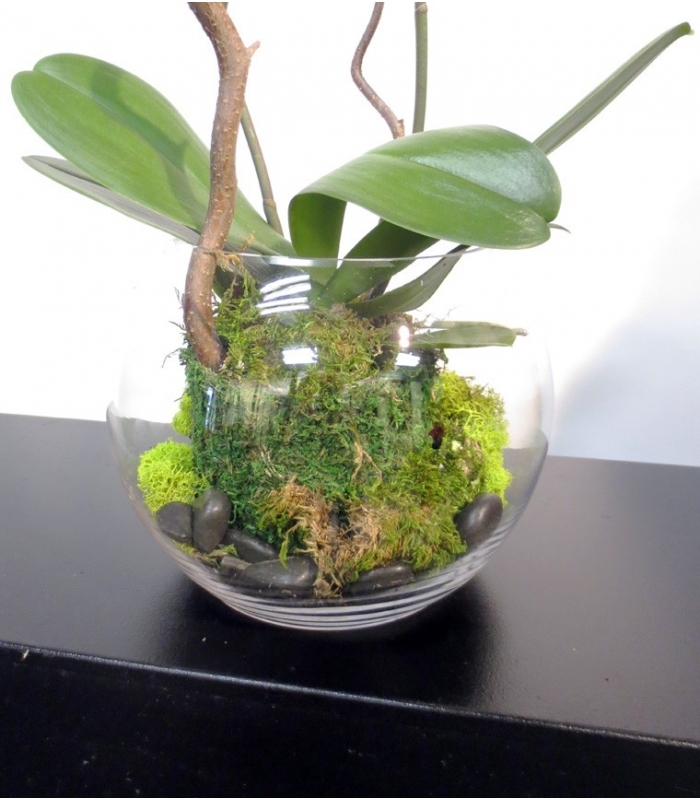 It is placed in a contemporary vase. The plant can easily be taken out from the pot for watering. Instructions are added to the wrapping. J’ai reçu un belle orchidée dans un vase, il y a un mois et elle est somptueuse.